News - Frontierville Express - More Than Just A News Site: Sitting the Babies. 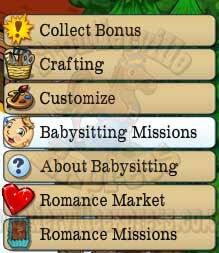 It's date night on the homestead and our newest married couple are going to have a romantic night out while you, being such a caring person that you are, will babysit the twins. In essence this is going to mean an 8 day mission thread, with missions being released every 24 hours or so (times may vary) but, you'll be glad to hear, no building! 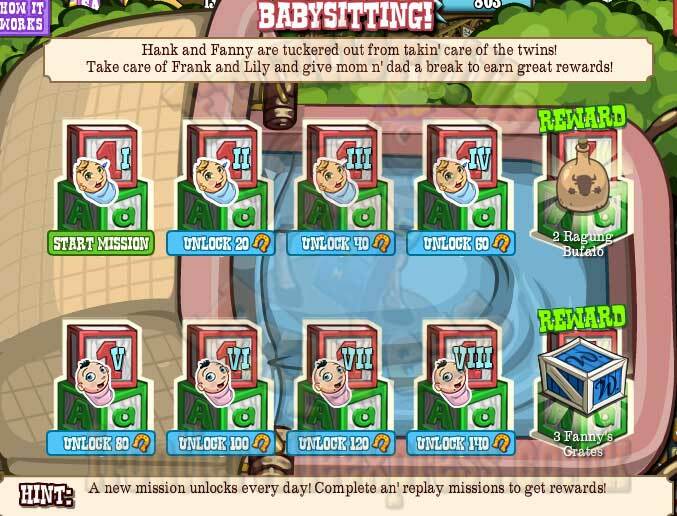 The missions (all details HERE) will be available from the cabin and will take you through having some fun with the kids before lying them down to sleep. 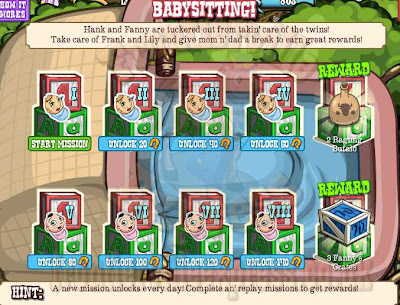 And now the bad news... yes, there's a repeat element to the missions, Each mission rewards you with "Twin Hugs" which need collecting for the overview, and there's two missions that need repeating. It's still, on the surface, a lesser workload than previous repeatable missions. 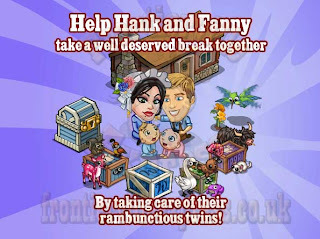 The missions will give out individual rewards and also rewards after completing days 1-4 (2 Raging Buffalo) and then days 5-8 (3 Fanny's Crates). 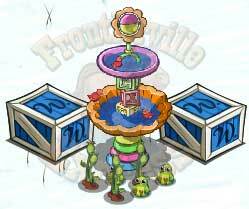 You'll also pick up the Babysitters Birdbath, a decoration that gives a bonus that can be collected every 3 hours. 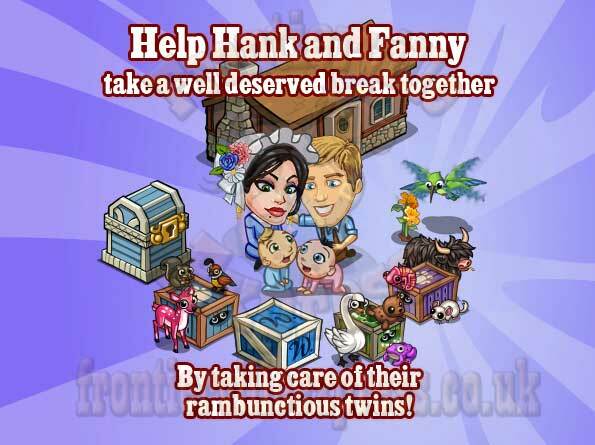 Finally we'll also see two new free gift items, Honeydew Melons and Nectarine trees. We'll get some as mission rewards and will be able to send any others we need. So lets be good people and give the lovebirds a date night.